On May 11, the cost of an Amazon Prime membership will rise from $99 to $119 for new members. If you’re already a Prime customer, renewals will show the price increase starting June 16. There are ways to avoid the Amazon Prime price increase if you like the benefits but don’t want to pony up the extra $20 per year. The reason for the price increase, according to Amazon, is that they are expanding their current offerings under Prime. Initially, the biggest draw was the free two-day shipping. Now you can access movies, TV shows, music, store photos, and, in some cities, even get same-day shipping. However, if you don’t want to shell out the extra cash for your Prime membership, you can avoid the Amazon price increase if you’re willing to put in a little bit of work. 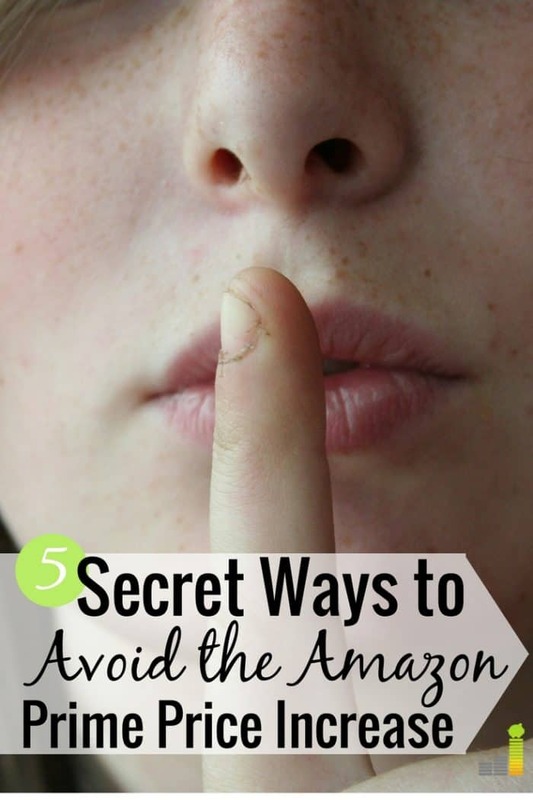 If you love to save money on Amazon but want to avoid the Amazon Prime price increase, here are some ways to do that and not give up the benefits. If you’re a student or are considering heading back to school, you can qualify for the Prime Student price as long as you have a .edu email address. The price for a Student Prime membership is currently $49 but it will go up to $59 with this price increase. Students who are new to Prime can try it for six months for free. So, if you’re in school, that’s another way for you to try Prime with a major discount. I only have anecdotal evidence for this, but even if you’re not a student anymore, Amazon may still let you pay the student price. Their website currently says that you can keep your Prime Student membership for up to four years maximum before Amazon might start asking you for further evidence of your student status. So, if you get your Prime membership as you’re finishing college or graduate school, your membership might auto-renew at the student price for four more years. Amazon will give you several weeks notice (upon graduation) before increasing you to the standard Prime membership cost. So you will get fair warning in the event you don’t slip through the cracks. You can have two adults on a Prime Household membership. According to an article by TechCrunch, the two adults are supposed to live in the same household. However, you could technically split the cost with a friend, provided you both agree to see each other’s credit card information. This is a new step in setting up a household. It’s likely meant to cut down on friends sharing the benefit. But you can do it. Here’s how: First, add someone to your Prime Household membership. Then you both consent to see each other’s credit card information. Last, you agree to share Kindle books and other benefits. So, you could share this with a friend so long as you’re comfortable sharing your banking information with them. Trust is key here. You can give the gift of Prime to yourself or someone else. Simply head on over to Amazon’s Prime gift card page and you’ll see the option to buy a 12-month subscription for $99. You can buy the membership now and then hang on to the gift card until it’s time for you to renew your membership. Some websites are saying you’ll have to cancel your current membership before using the gift card. Others are saying you can buy several of these gift cards and use them for subsequent years. I don’t know if Amazon will allow that or not but it’s worth a try with at least one gift card. As for me, I won’t be spending several hundred dollars in Prime gift cards. But if saving $20 is a sticking point for you, that’s one way to keep the same amount for at least a year. There are many Amazon Prime benefits that warrant a membership. From free two-day shipping and Alexa deals to lesser-known benefits like a free six month membership to the Washington Post, there are many pros to having an Amazon Prime membership. If you want you want to avoid the Amazon Prime price increase, you may need to choose which benefits are most important to you. For example, free two-day shipping may mean nothing but you still want access to Prime Video. You can get Prime Video for a $8.99 monthly charge without needing to pay the $119 annual fee. Before you choose this option, though, do the math. Is the minimal cost difference worth losing out on the other benefits? If it is, then this is an option worth considering to offset the Amazon Prime price increase. Finally, the simplest way to avoid the Amazon price increase is to cancel your Prime membership. Gasp! I know! How can we all survive without free two-day shipping? All kidding aside, the world did exist before Amazon Prime, and having Prime is definitely a luxury, not a necessity. As an Amazon Prime customer, I know how nice it is to get items in just two days. It’s completely spoiled me and all other shipping seems to take forever by comparison. However, I know I can survive without it if I decide not to renew it for another year. Canceling is always an option. And that, my friends, is the easiest way to avoid the increase altogether. What do you think about the price increase? 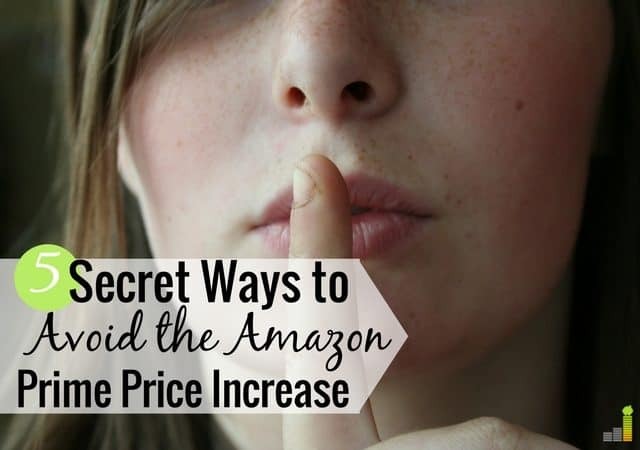 What are you planning to do to avoid the Amazon Prime price increase or does it not matter to you? How difficult would it be for you to give up Amazon Prime? Excellent post, and excellent timing on this! I’ve not only given up on Amazon Prime, but Amazon in general. Our relationship soured several months back–I kept trying to place orders, and Amazon kept telling me I was a fraud and cancelling my orders. It was such a headache that I gave up. Yep life does exist without it! This will make me seriously reconsider my membership. I’ve been unhappy for awhile since they’ve changed “2-day shipping” to “2-day transit time once we get around to putting it in the mail” (and 3rd party vendors apparently aren’t beholden at all to this). And let’s face it, Amazon Video is nothing to get excited about if you already have Netflix and Hulu. Back to the days of holding off on ordering until I can get $25 worth of items to qualify for free shipping, I guess.